Graphax offers integrated B2B solutions for Document- and Printworkflows, logistical solutions and hardware repairs. They are also the Swiss representative of Konica Minolta. 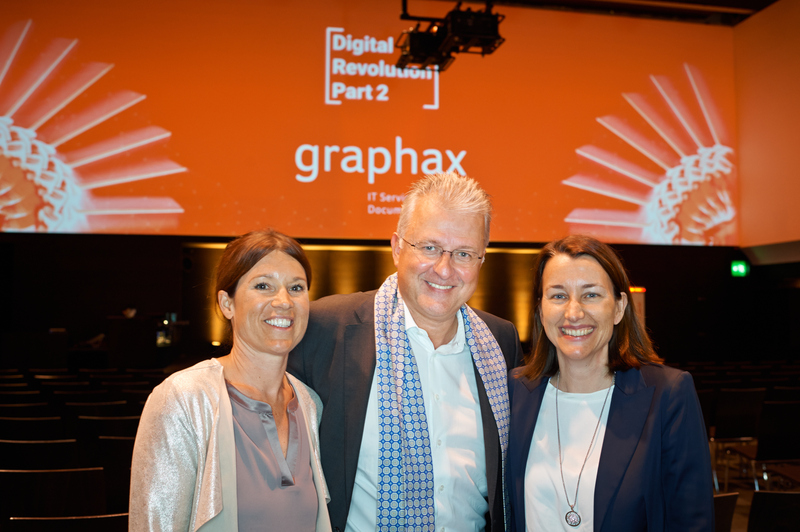 Christian Gansch earned standing ovations at Graphax “Digital Revolution – Part 2” event. Graphax invited clients and partners to Zurich to attend its yearly event “Digital Revolution”. Last years “Part 1” had a keynote by Daniel Domscheit-Berg, the former speaker of Wikileaks, also organized by Spark. Tama Vakeesan, one of Switzerland’s most famous YouTube bloggers hosted the event. The event included presentations by Microsoft, Konica Minolta, M-Files and by W.I.R.E, a leading Think Tank in the digital industry. 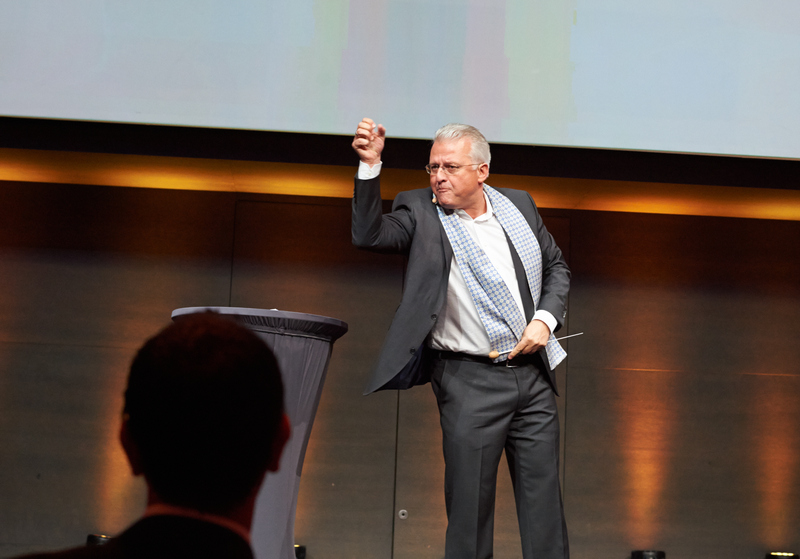 But the highlight was clearly Christian Gansch’s key note speech. The Grammy Award winning orchestra director has worked amongst others with Berliner Philharmoniker and fellow colleagues such as Claudio Abbado and Herbert von Karajan. He was also one of the first people to spot the talent of pianist Lang Lang. 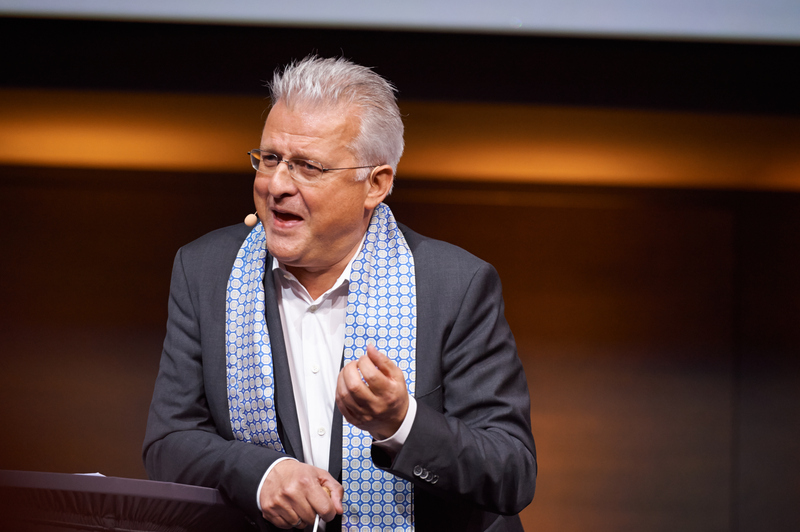 After working for the music industry in various roles, he went about to write several books about what companies can learn from orchestras and how they can benefit from his experience. This was also the essence of Mr. Gansch’s key note speech at the event. By telling anecdotes from an orchestra’s daily life, he demonstrated what we can learn from them. “There are small and big roles, but everybody is important”, or “you can’t always control everything”, are just a few statements that suddenly were brought to life by his very emotional and charismatic presence on the stage underlined by short music excerpts. His enthusiasm was rewarded with standing ovations. All guests received a personally signed copy of his book “What companies can learn from orchestras ” at the end of the event. Spark was in charge of speaker research, negotiations & contracts, coordinating interviews in the lead up and on the day of the event and support at the event itself.